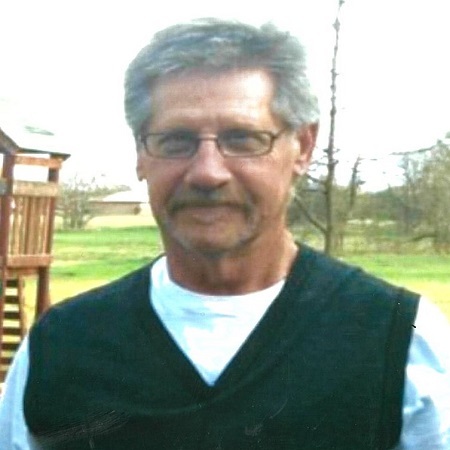 Funeral services for Philip Ray Allison, 69, of Gainesville, Texas, will be held on Wednesday, April 17, 2019 at 2:00 p.m., Meador Funeral Home, Gainesville, Texas. Visitation will be from 6:00 pm to 8:00 pm, Tuesday, April 16, 2019. Officiating the service will be Rev. Randy Taylor. Interment will follow at Fairview Cemetery, Gainesville, Texas. He was born on August 18, 1949, in Longview, Texas, to Manuel and Bessie (Kelly) Allison. He retired from Peterbilt Motors, having worked as a Quality Inspector. He is survived by his wife, Lena; daughter, Bridgette Sluder and husband Eddie of Gainesville; son, Kelly Allison and wife Christie of Gainesville; five grandchildren, Tristen Allison, Raegan Allison, Thomas Sluder, Sarah Sluder and Brianna Proctor; one great-grandson P.D. Reed; brother, Michael Allison and wife Patti of Tulia, Texas; brother Jerry Allison and wife Stephanie of Shamrock, Texas; brother-in-law, Pearl Cornett; and sister-in-law- Margaret Gilbreath of Woodbine.He was preceded in death by his parents and brother, Manuel Allison, Jr. So very sorry for your loss, prayers for you and your family. I am so sorry. I’m praying for your family during this difficult time. Hugs and prayers for the entire family. I will miss Phillip’s unique sense of humor. Bless this family. I’m sorry to hear of Phillips passing. He was definitely one of a kind.May Gods blessing be with you & your family. I am so sorry for your loss and I know that your loss is great. Philip was one of those people who could make you laugh and smile. He will be missed. Your family is in my prayers and will continue to be in the coming days. I love all of you. Phillip and Lena were such a sweet couple! I’ve known Lena since I was really young! Great couple, Lena you and your family are in my prayers! I love you sweetheart, and I’m here if you ever need a friend or someone to talk to!!! Condolences for your loss. Kelly and family, you all are in our prayers. So sorry for your loss! Our thoughts and prayers are with y’all. So sorry to hear this. Prayers for each of you. Oh lena I’m so sorry..keeping u in my prayers. So sorry for your loss. Our hearts are with you and your family. I am sending all of our love to you Lena from California. Hang tough. I’m so sorry for your loss. Prayers for the Allison family. Our prayers are with the Family. Please know if there is anything at all we can help with don’t hesitate to let us know. Good he won’t have to endure anymore pain or suffering. He was a great man & will be missed dearly. Loved this family growing up! I pray for Gods peace and comfort over them all! You’re in my prayers Lena. Lena, yours and Phillip’s was a love story. The last time I saw you together wasn’t much different than the first. I know you will miss him terribly, but know the example of your love for each other was evident to so many. Thank you for that. Each of you are in my prayers! I am so sad for your loss. I have fond memories of Philip joking with and teasing me as a kid. I loved this family. I pray you will be comforted in this difficult time. Lena, I am so sorry for your loss. You and your family are in my prayers. I pray Jesus will comfort you and fill your heart with His love and peace!